Topic: Mod to play as other factions? Re: Mod to play as other factions? 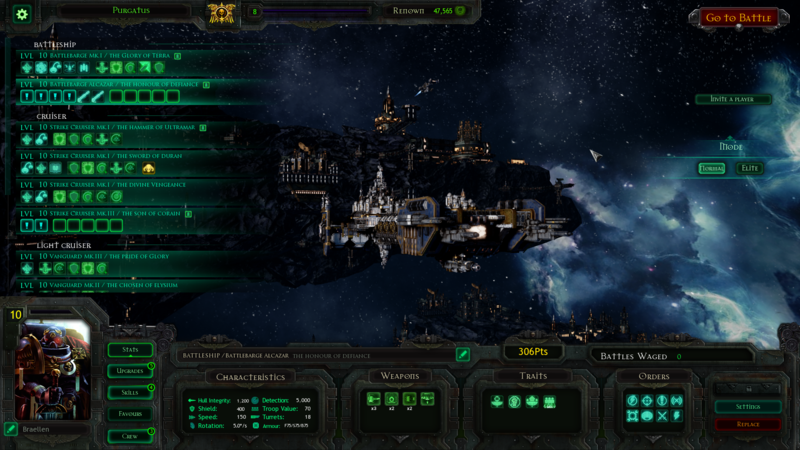 Lord451 wrote: Does anybody know of a mod that lets you play through the main campaign using the ships of one of the other factions? It's been on my list for a while, maybe some day I'll get round to it. Some quick experiments showed that it's probably not very easy to do. Neighbor Kid wrote: Unfortunately I have no idea why your game doesnt launch. Piston, anything new going on? Last we saw was the SMBB with Nova. How did it play out? I'll hopefully release a small update containing that and potentially some other stuff later this week. Topic: Gameplay Idea, Introduce more Admiral levels, like 9 till 16 with more ships, ships slots and higher points for battle. If you are looking for larger battles by means of larger amounts of fleet points, you should check out the mods currently available. As for ship slots, eventually there'll be a mod for that too I hope. Neighbor Kid wrote: Awesome Piston! Pretty sweet you can do some mix and match! Can you put different ships with different factions? Like a dauntless to the SM? Just a wonder. It should very much be possible. Re: Veritatem Imperialis mod - Version 1.2 Laser battery poll. New Alcazar Battlebarge featuring a Nova Cannon! Valrak wrote: Love the mod, any chance we can have a higher point count in 2v2 Custom games? I want more ships! If 750 is not enough, sure, I can make an addon that adds even more. Just give me a number. Did some quick horrible gameplay with the Space Hulk. PistonMiner wrote: The patch only changed Deathmatch (Cruiser Clash). Neighbor Kid wrote: death match? You mean cruiser clashes?